Fitness Facilities | Conference Services, U.Va. With the wide variety and convenient locations of available fitness options, there's no excuse for missing a daily workout! 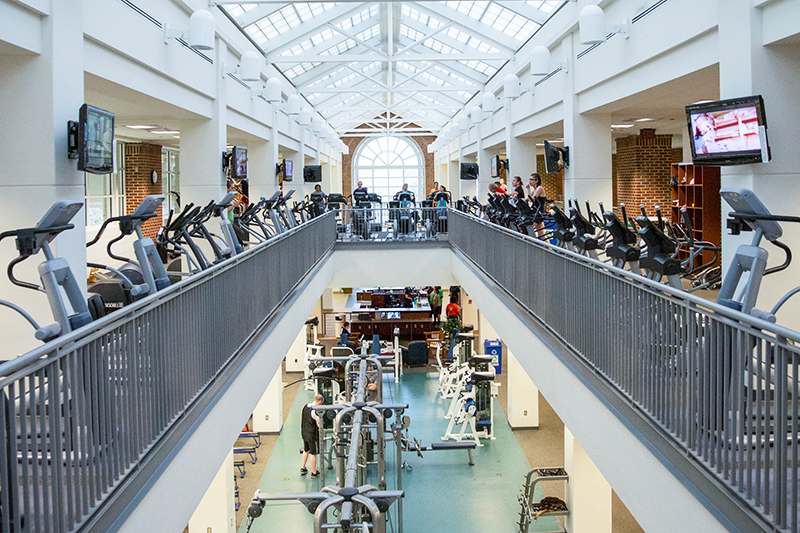 These facilities are available for use by university program and event guests through the purchase of a visitor pass, which provides unlimited access to all four fitness facilities for the pass duration. Participants may purchase a pass at the Intramural-Recreational Sports Department Business Office located in Room 209 of the Aquatic & Fitness Center. The business office is open Monday through Friday from 9:00 a.m. to 5:30 p.m. Visitor passes are available for terms of one day, one week, two weeks, one month, or two months. Please visit the Intramural-Recreational Sports website or contact the IM-Rec Sports Business Office at 434.924.3791 or recsports@virginia.edu with any questions.